The Trust was established in November 1980 by Trust indenture between Southland Royalty and The Fort Worth National Bank. 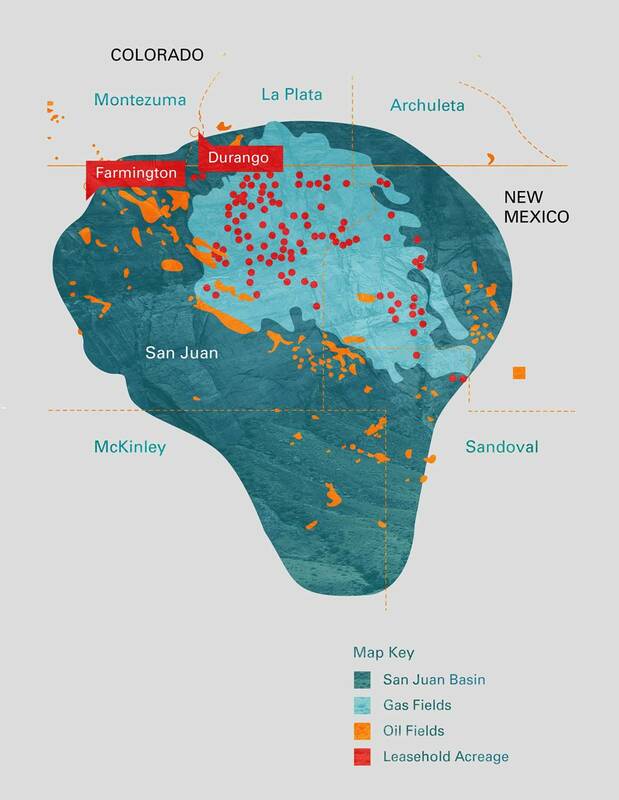 Pursuant to the indenture, Southland Royalty conveyed to the Trust a 75% net overriding royalty interest (equivalent to a net profit interest) carved out of Southland Royalty’s oil and gas leasehold and royalty interest in the San Juan Basin of northwestern New Mexico. This net overriding royalty interest (the “Royalty”) is the principal asset of the Trust. Under the Trust indenture, Compass Bank (successor trustee) as Trustee, has the primary function of collecting monthly net proceeds (“Royalty Income”) attributable to the Royalty and making the monthly distributions to the Unit Holders after deducting administrative expenses and any amounts necessary for cash reserves. 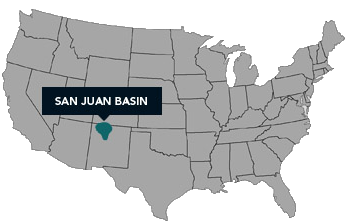 The San Juan Basin Royalty Trust is a New York Stock Exchange-listed entity, with Units trading under the symbol “SJT”. 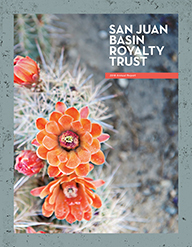 The Trust’s Annual Reports containing its completed audited financial statements are available in electronic form by clicking on the tab “Annual/Qtrly Reports.” The Trust will provide Holders, upon request and free of charge, a hard copy of the Trust’s most recent Annual Report. Who owns and operates the properties? Burlington Resources Oil & Gas Company LP, a subsidiary of ConocoPhillips, is the current owner and operator of most of the Underlying Properties and the successor, through a series of assignments and mergers, to Southland Royalty Company. No. Unlike actively managed trusts where a management team is empowered to grow the trust's assets through new acquisitions, the Trustee is not empowered to engage in any business or commercial activity, nor can the Trustee use any portion of the Trust Estate to acquire additional properties.